The Actuarial Science Career Development Committee will meet every other Monday in Alter Hall 035. 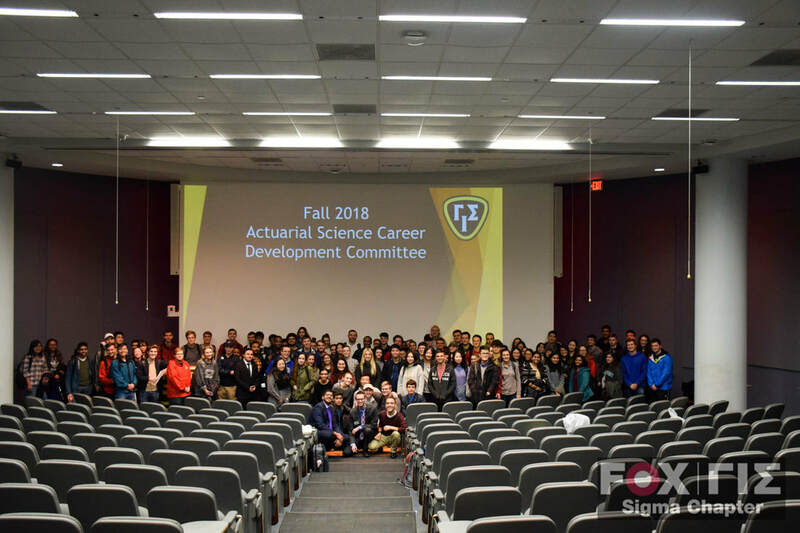 The Actuarial Science Career Development Committee will use an organized approach to help actuarial students make the transition from academia to the professional world. The purpose of the Actuarial Science Career Development Committee is to develop committee members’ current industry knowledge and professional skills. We will have a series of actuarial professionals come and speak with members about the industry in general and their actuarial work in particular, and reserve time for helpful Q&A's. Speakers will present about projects they have worked on in the past that will give the audience an understanding of their role. The goal is for members to leave the presentation with a better understanding of how actuaries contribute to a company, and also to learn about a role that they might one day like to pursue after graduation. Following the presentations, members will have the opportunity to attend a networking luncheon with the guest speaker.